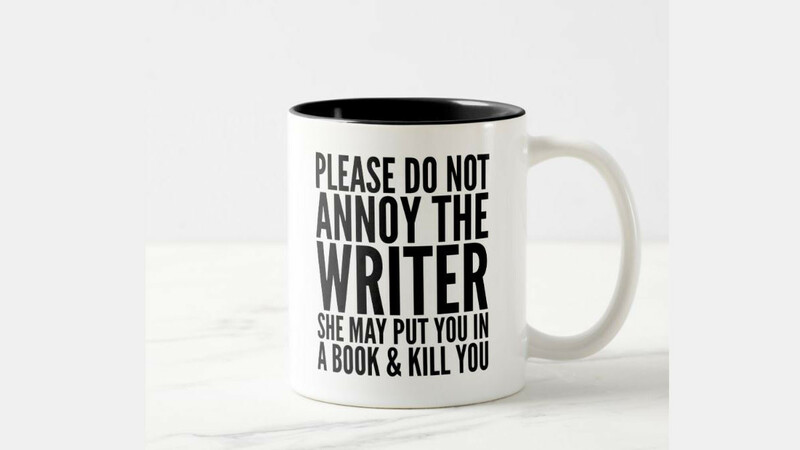 Any writer with a sense of humor is sure to enjoy this fun mug. It features an amusing saying that doubles as a warning to not disturb or annoy a writer when they are working. This is a coffee mug but it also makes a great pencil holder for any home or professional office. The design is available on mugs of three different sizes. It is also available on a travel mug, a beer stein or a frosted beer glass. You can customize elements of the mug such as the color of the mug and the color of the text.